There are many parents who wonder when is the best time to take their children to nursery school (also known as daycare). Daily responsibilities or work, make parents need a place of trust where they can leave their babies while they go out to earn a salary. But in reality babies do not need to go to daycare until they are between two and three years old, doing so before is the fault of society that does not allow their parents to be with them, but not because they really need it. In fact, the emotional development of babies comes from social interaction with parents. 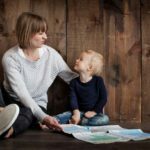 A child will not have socialization problems even if he does not go to day care for the first two years of his life, especially if he has other social experiences during that time. 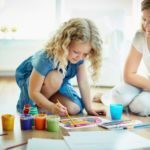 In addition, these social interactions should include parents because you are the ones who will really facilitate the development of social skills in your children. 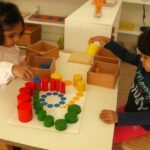 The first years of the daycare can even be a risk factor, because they are asked and the children are too demanding. 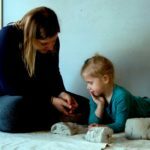 We do not see this because we do not want to see it, but many two-year-olds who start daycare begin to compensate for stress in other ways: they have regressions, they hit their siblings, they have trouble sleeping, they get sick more often, they raise tantrums, etc. But on the other hand, not everything is so bad. In fact, if a brother is expected, it is more advisable, because it gives the child a world of its own, a bigger world, so it is not limited to a world where suddenly an intruder (the baby) dominates and is always in the center. When it only takes two or three hours a day to stay in the nursery, it is stressful but manageable for most children (it also has benefits for their development), when the children are longer in the nursery is when the anxiety begins and the stress. Actually, it will depend on your son. 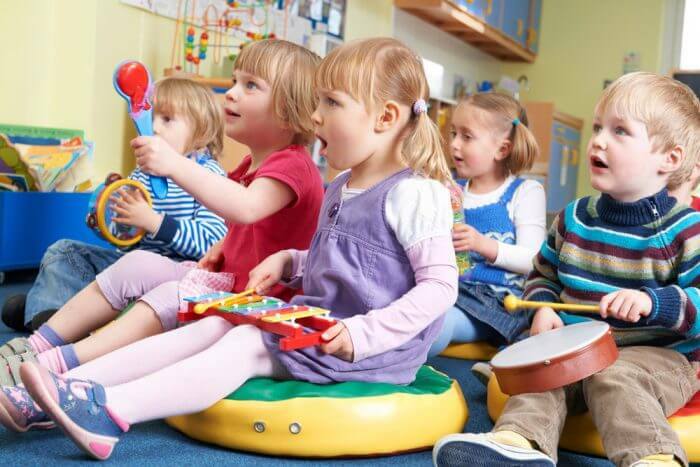 Groups of children in daycare will be stressful for a child less than two years old, whatever happens, but some children are more stressed than others because of sensory overload, noise, difficulty in making their needs known to caregivers, the competition for toys, the need to accommodate their own needs to the schedule, etc. This is NOT a normal state for a child under two years of age. It is a modern idea that does not necessarily take into account the needs of the little ones. We justify it as good for them, socially empowered or better when they go to school. Actually it is not good academically and is socially overvalued. Many young children feel overwhelmed and easily frightened in groups of children, so they play aggressively or become more timid. Sometimes the child stays together in the group setting, but as soon as the father appears to pick him up, he breaks down in tears. That meant it was very difficult for him to be in school during that time and although he seemed to be fine with the teachers, he actually had a high heart rate and high levels of cortisol and other stress hormones if they had been measured. Now that the father has returned, he discharges that stress through crying. So, if your child cries when you leave him at daycare, maybe he is not ready yet. However, if your child feels comfortable in groups of children, then short periods in a group will stimulate him and he will be able to cope with your absence. Depending on the personality of your child he can enjoy the nursery and take advantage, or not. But remember that it is from the 2 years when it can be more prepared and not before… because the figure of attachment and reference par excellence is you.